Our 4-4 collection is aptly named as the thick supports for these benches is indeed a 4” x 4” steel frame. 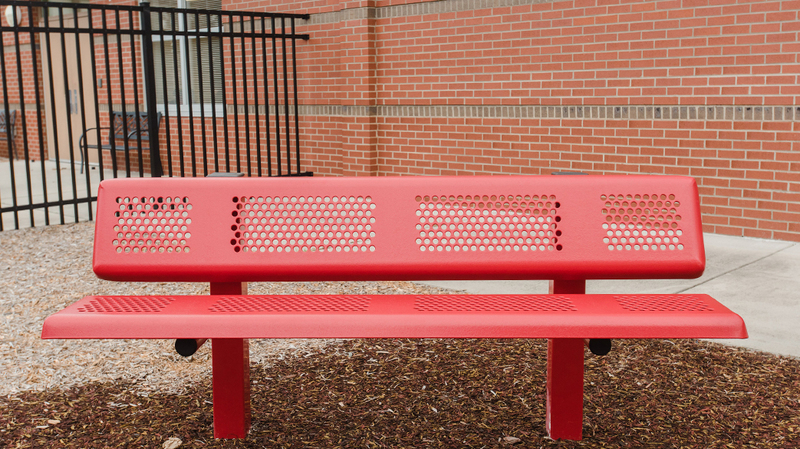 These benches are often seen at parks, schools, and playgrounds. The benches come in 6’ and 8’ lengths, and in either a single or double seat frame to accommodate more guests. These units are a popular alternative to concrete benches, where the steel frame is more durable and will not crack. 4x4 benches are available in surface and in-ground mounting options. With 24 frame colors and 13 textured polyethylene seating colors you can choose a bench that will perfectly suit your outdoor space.